Now isn’t this a turn up for the books. A Jesuit Pope who takes the name of Francis? Rome and St Peter’s is THE place in the world for history, intrigue and of course religion. Between 1754 and 1768 the Jesuits ( I am certain they were the inspiration for the Jedi in Star Wars ) were banned from many countries including Brazil, Spain and its colonies ( including Argentina ) , Portugal and parts of Italy. This process was greatly supported by the Royal Courts around Europe as none of the Royal families fancies the Jesuits one iota — possibly because they were seen as an order of clever clogs, possibly because they assumed the title of God’s Marines. By the time we came to the conclave of 1769 there was one great issue to be discussed by the Cardinals when they met in the Apostolic Palace in Rome ( note that conclaves did not always take place in the Sistine until 1878 ) and that was the suppression of the Jesuit Order completely. Those in favour of this policy were known as the Court Cardinals, and those against were known as The Zelanti – The Zealots. Well, on 19th May the Court Cardinals won out and the Conclave elected the only Franciscan Friar Cardinal there was – Giovanni Vincenzo Antonio Ganganelli– who became Pope Clement XIV. Despite being Jesuit educated, Clement ordered the suppression of the entire Jesuitical order by Papal Bull dated 21st July 1773. Fortunately for the Jesuits, certain parts of Europe did not accept the authority of the Pope – indeed for decades before it had been accepted that any decree by the Pope could have no effect in France unless the decree was adopted and endorsed by the King. 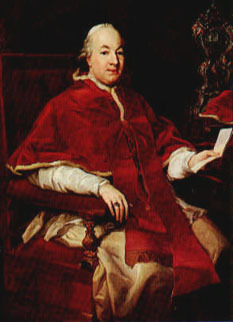 Further still, in the past it had been the case that French Cardinals such as Richelieu and Mazarin had a veto on the appointment of the Pope – so in those days no matter who the cardinals voted for in conclave, unless they carried the vote of the French Cardinal then they were wasting their time. Anyway the point is that in certain areas of Russia, the banning of the Jesuits was to no effect. When Clement XIV died, then the new conclave had to address the whole argument again with the Court Cardinals once again looking for a candidate who would continue Clement’s abolition of the Jedi, and the Zelanti looking for someone who would reverse the process. Neither side could prevail and so in the end they opted for a compromise candidate in Cardinal Count Giovanni Angelo Braschi – clearly a nobleman and so approved by the Court faction, but who the Zelanti viewed as being sympathetic to the Jesuit cause. Braschi became Pius VI and he allowed the Jesuits to remain banished and suppressed but accepted that the ban did not have effect in White Russia or Silesia ( Poland ). Further he did consider the full reinstatement of the Marines not long after the French Revolution as he thought they might come in handy in the event of Revolution spreading to his wee fiefdom. It goes without saying that even the Court Cardinals preferred the Jedi to the mob and Madame La Guillotine!! However, it was not until Napoleon Bonaparte effectively kidnapped the Pope ( by this time Pius VII ) that there was any move to universally restore the order. Pius VII was being held captive in France and swore to bring the Marines back and when he was able to return to Rome he promptly did so by order on 7th August 1814. Interestingly thought, The Jesuits were banned from Switzerland in 1848 and this was only lifted in 1973 when the people of Switzerland voted to change their constitution, and technically the Jesuits were banned by the Norwegian Constitution between 1814 and 1956. So it is a bit of a miracle that a Jesuit has been given the big hat at all, and ironic that he has taken the name Francis and it was a Franciscan that banned the Jedi in the first place. In terms of our new Pope I hope he takes on the mantle of Pope Innocent XI who brought about the end of the terrific spending and Papal patronage that had gone on in Rome for the previous 150 years especially surrounding the new basilica and the desire by each previous Pope to build some kind of monument or tomb which demonstrated that Pope’s greatness and lasting reputation. Innocent lived a far more holy life, encouraged parsimony as opposed to excessive spending and reformed the curia. He was however from a family of Money lenders and it is said that he bankrolled William of Orange in his various wars and that he was no fan of James II who had supported the actions taken by the King of France against the mother church – therefore Innocent was posted missing when James needed his help. Anyway, I digress, the new man will hopefully takes us down a more socially inclusive road especially with regard to the poor and the needy. 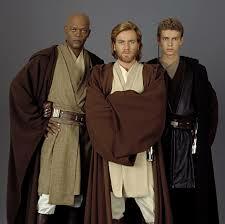 But, once a Jedi – always a Jedi and that is not to be underestimated. The main church of the Jesuit order is to be found in the Piazza Del Gesu, just of the Via Vittorio Emmanuelle in Rome. It is a square which often has a nice breeze blowing through it. Legend says that one day the wind and the Devil were walking down the Via Vittorio when the Devil turned to the wind and said ” You wait here, I am just going to nip into the Gesu to sort the Jesuits out”…….. and the wind has been hanging about ever since! So if the Jesuits were banned and had to start again, does that make them like Sevco? Sevco as clever clogs? That would need a miracle. Wonder where the secret 5 way agreement between the old jesuits, the new jesuits, the papacy, the king of france and the holy roman emperor has been stashed? Wasn’t it jesuits in the exorcist as well? It was indeed Bud, and in The Mission. Ah there you are! Do you want to be ‘the apostrophe police , on Monti’s Strategic comment? Oh ha ha 🙂 I’ve given up on that thankless task Bud. Oh how clever you are, ha,har,har! wits’ end,or wit’s end,see even I’m not sure of that one Monti. I apologize Maggie, I should know better,sorry pal. Apologies ….. I have combined two posts from earlier and added a twist ….. to get it out before 11:00pm tonight ….. read on you will find out why ! Through the centuries that there have been significant issues between the Vatican and the Jesuit society, even their own schism’s. 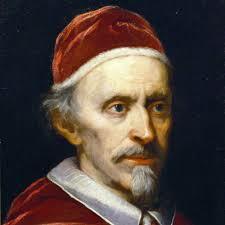 The Jesuit’s founder Ignatius and the early Jesuits recognised that the Church was in dire need of reform. Some of their greatest struggles were against corruption, venality/cronyism, and spiritual apathy …..
Brogan Rogan’s Brief History of the Jesuits (above) is a superb and concise account. The Superior General of the Jesuits is informally known as “the Black Pope” because of the power the position has held in the past, but In the early 1980s, when the Jesuit Superior General was sidelined by a stroke, Pope John Paul II stepped in with his own appointee, rather than allow the Jesuits to elect their own leader and met with wide disillusionment by the Jesuit order at the time. The Pope referred to that moment as “an important phase of its history. ……. Normally, if a Jesuit is appointed a bishop, he must first seek permission from his Jesuit superior before he can accept the job. In this case it is Fr. Adolfo Nicolás who is the current Superior General, elected in 2008. But it was the Directive (mentioned in my prior post), delivered to the Vatican only one month after his election that laid the path for the eventual succession to the papacy of a Jesuit. …… the path to great change ……. And now we have our first Jesuit Pope, and the first thing he does is choose the name Francis; someone who is associated with not only poverty and simplicity, but also humility. The second thing he does, is he comes out not dressed in the full papal regalia but in the simple white cassock. If you notice he took off his stole after he blessed the crowd, only putting on the symbol of priestly authority when he did the blessing. And he started off the talk by bowing to the crowd and asking for their blessing. You may also have noticed the absence of the adornment of the usual Gold Papal Cross, instead choosing to wear a simple Cross. No Papal Limo’s, choosing instead to don the same bus as returning Cardinals ….. The tone is already one of humility, simplicity of gentleness. …. of greatness ? Thanks to both of you for engaging my interest in a subject which heretofore held absolutely no interest to me. A very interesting and compelling post, layers within layers and wheels within wheels indeed. Any sevconian lurkers must be scared shitless by now 🙂 back to leg gat, all of ye!! Even more literally – Greatest Bridge Builder – now wouldn’t that be a good thing. As a matter of interest Julius Caesar was elected to the position in 63 BC. Fantastic post newtz. For an ex altar boy, who at one point thought of the priesthood as a vacation, it has shown up my knowledge to be very limited. John Paul II for me was a pope who tried to get out to his people, which was unheard of. Correct me if I’m wrong but didn’t he remove a gold ring from his finger in order to raise money for the poor in Latin America. I agree, when I heard the new popes age, it concerned me but I suppose if he is a liberal thinker then a short period in the job is better than years for an ultra conservative. Anyway, thanks for the education and I sincerely hope it is an astute appointment. Bloody spell checker – meant to be Fra no France. Even when John Paul II was in charge, relations were still strained. In effect, they are renound educators but that same educational trait like any other academic leads to a questioning rather than obedient character. For this reason anything coming from Rome was given the Jesuit ‘sniff test’. So If it didn’t smell right then awkward questions ensued. Many Pope’s have qualified for a bus pass but this one actually uses his. Hopefully a breath of fresh air. I was also surprised when the first Jesuit Pope decided to honor Francis Of Assisi. Francis’s philosophy can be more readily associated with he teachings of Bhudda rather than the muscular approach to spirituality of the Counter Reformation vanguard. Interesting point of irony is that the orders founder, Ignatius Loyola was taught in Paris by a Scottish Protestant scholar & theologian John Major from the Ayrshire village of Dunlop. Well ‘interesting’ is maybe stretching it a bit. Yep. Always thought the loose fitting jackets were less two suit sizes ago and more space for a Walther PPK. Two Jesuits of my own knowledge were extremely clever men and inspiring. One you would want on your side in a fight, the other to get you off the resulting charges, with compensation from the other party and a written apology from the Sheriff for dragging you to court on such a damp day. one of the founders of the Jesuits along with Ignatius Loyola. God bless and keep you Holy Father, and lead us on. Is the word ‘Tim’ now acceptable on here. Not that I ever intend to use it, but I recall that someone did and was roundly berated for so doing. It is indeed my friend….. I agree, he is far too young. What a wonderful blog this is. Fun and educational. Monti,old bhoy,i’m confuddled.Did you say that you reside in the Falkands,that you were off to mass and then heading to Paradise? Are you a super hero,can you TIMe travel? is Paradise the local Goose Green nightclub for single sheep? Or are you just the South Atlantic’s Spoofer McGraw? Could we perhaps get back to something closely resembling ‘Random thoughts on Scots Law’. Or is this site now turning into a blog on religion. More interesting than what passes for football bickering on here. Anyway, we have spent much of the past year discussing the Anti-Christ, so some chat about God’s Vicar is perhaps appropriate. Sorry to disappoint you V but from the outset, of my observations anyway, it was never REALLY about anything else….whether tribal based or faith based it floats back and forward between the two, with the occasional temporary departure now and again. And it’s hardly rocket science to see which side of the divide it lands on. Tribally, there has been some real hatred on display, a serious contempt for their fellow man, though they’re are moderates in the midst also. Faith wise, I’m sorry, but when you’re labelled a heretic who is hell bound a ‘there is no salvation outside this church’ well I’m sorry, where is he ‘love’? It seems that carson was right about attendances at celtic – shown to be as much a 32% exaggerated. However rangers shown to be as much as 26% exaggerated. What is going on I wonder? Also P Mac G on Leggat – says he would have sued leggo if he had publshed in a newspaper! So much for the so-called defender of free speech. Free speech of which he approves, and that’s it, clearly? Or, you can practice what you preach, and accept that part of living in a truly free society is putting up with speech which you personally find abhorrent. So, if Yorkshire tv news shows a photo of you, and calls you a child molester, all your friends,family, acquaintances, work colleagues, and the wider community [ which may have a ‘ vigilante ‘ element ] all see it , then what do you do- turn the other cheek? Total nonsense ,in my view. I have been defamed a number of times in the press and on-line. I accepted it as the price of a free society. If I had been an advocate of controlling the press then I might have taken a different view. But unlike others, I practice what I preach. All very noble, standing up for principles you believe in. In the example above, the repercussions for your friends and loved ones, who might not share your lofty ideals, could be horrendous. Tough luck on them for not believing eh? OK, using the extreme example you have used. Jimmy Savile was known to be particularly litigious at any attempt to impugn his reputation or against what he claimed were false allegations. Consequently he used the system which you seem to support to carry on abusing children. Tough luck on the kiddies eh? Free speech is not the freedom to write untruths about someone and not face the consequences, it is not the right to make defamatory statements with impunity. I have a right to defend my reputation against false allegations. If I sue someone who has published or said untrue statements which are damaging; that is upholding my rights. Free speech seems more a slogan than a principle and in practice needs to be bounded as in not violating someones legitimate rights. If you set yourself up as defender of the freedom of the press, free from intimidation and threats, then it is a bit rich to then use your status to try to silence another member of that press. Pack it in MOT. You have got the wrong end of the stick. Don’t know what he set himself up as but I still don’t see that calling someone on defamatory remarks is incompatible with freedom of the press. If you are defamed in the press and chose not to take action that is your choice. He took a motion to NUJ conference about the ‘intimidation’ and threats suffered by those journalists who dared to question what was going on at Rangers, and got the unanimous solidarity of his brethren in support, as the freedom of the press could not work with such intimidation. Of course we are still await his magnum opus on the subject of intimidation of the press nearer to his home of those journalists in the ROI who dared to mention the subject of Anthony Stokes and his Real IRA connections. “If you are defamed in the press and chose not to take action that is your choice.” Pish. Taking action in the courts if you believe you have been defamed is strictly for the rich in this country. The courts are used by the rich and powerful to suppress speech about themselves they disapprove of. Nice to see so many on here sticking up for the rich and powerful. My statement may be pish, but why. You had stated that having been defamed you accepted it as a price of a free society. I thought I was respectful if your principled position, while not being in full agreement. Your subsequent comments on recourse to the law being the prerogative of the rich seems like a change in the discussion. Who on here here have declared support for the rich and powerful, in what context was it ? I wonder if it fits in with article 9 on his unions code? For a person spoke about in none too flattering terms by a newspaper he tried to earn money from is laughable. I shall ask the NUJ just what they think,,,now who should i ask? one of Phils pals?,,,nah. Thst’s Paul’s prerogative isn’t it Violet – he is the intellectual Papa here. 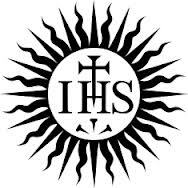 Personally I have enjoyed the posts about the Jesuits. He may be the Papa, but infallibility is my domain. 1. If you don’t like the topics write something more pertinent yourself, guest posts are welcome. 2. If you dont like the topic skip over it and let other people get on with it. I refrain from posting on some other topics. i respect other people’s right to take an interest in and discuss topics that I don’t want to take part in. Sorry to disappoint you V but from the outset, of my observations anyway, it was never REALLY about anything else….whether tribal based or faith based it floats back and forward between the two, with the occasional temporary departure now and again. And it’s hardly rocket science to see which side of the divide it lands on. Tribally, there has been some real hatred on display, a serious contempt for their fellow man, though they’re are moderates in the midst also. Faith wise, I’m sorry, but when you’re labelled a heretic who is hell bound as ‘there is no salvation outside this church’ well, the cat’s kind of out the bag. Do many in this day and age believe in that sort of nonsense? It is nonsense. I am saved through grace. Reconciled to God through Christ and Christ alone. A lot of people believe that to be nonsense as well but then scripture does tells us ‘nations will mourn’ on His return. We all have the choice though. Saville may have benefited from press fears of litigation.However they have to have evidence and sadly evidence was dismissed or lost by the police. There have been investigations into police ineptitude in this matter, in Cheshire, Yorkshire, Merseyside, Surrey, and by Scotland Yard – maybe more. Also BBC investigation. The problem wasn’t ‘press freedom’ but failure to believe children when they made allegations to police, bbc and others. Should Lord Mac Alpine just have shrugged off the allegations? Two really top class goals in Everton v Man C.
Everton down to ten men after Pienaar sent off on hour mark. May as well just give the title to Man U. now! I have read Paul’s last few blogs relating to the new Pope being put in place. I found them both interesting and informative in equal measures. I have so far resisted posting as being a total ignoramous regarding religious matters, not only were the articles none of my business, so to speak, but I had no wish to offend anyone on a matter which invokes such strong emotion. I would like to comment on the posts though. I felt they gave a broad and balanced spectrum of what a new Pope means to each poster. There were for me, two themes running through the posts, which broadly speaking, fell into two camps. One camp, felt their chosen religion also brought with it an element of political belief, whilst the other camp were firmly of the faith. Although there was nothing in the blogs, or posts, which tempted me to alter my views, I did find myself more in favour of the faith posts. My limited knowledge of religion simply does not connect it with any political or national or colonial leanings. It is an internal entity of the heart and mind, which nothing or no-one can remove, but the person who holds it. As such, it has no borders to defend, or “interests” to uphold. It is a trust in the good of mankind, and the milk of human kindness. In this example of faith, the name of the god matters nought, nor the rituals and rights performed. War and politics have no such place in this sphere, and for a mortal to attempt to shackle and pervert this faith, to further their personal aims is abhorrent. A faith cannot be attacked, because it is held within, therefore, it needs no defending. Do not believe anybody who says otherwise. A God does not take ANY side in a war. He does not sanction it! Keep the faith, and give peace a chance.! A cracking album and appropriate to the blog for anyone who wants a listen, on the link above. For a faith built around a poor carpenter who was born in a stable, lived wearing cheap cloth,died wearing a loin cloth and was wrapped in a linen shroud in death,can someone enlighten me on the need for all the finery worn by clergy? I’m not asking for shell suits and Burberry caps(such a Celtic look) but it’s a bit rich amidst all the poverty. Auld Lizzie and her baubles and pomp and ceremony are just a tourist attraction. 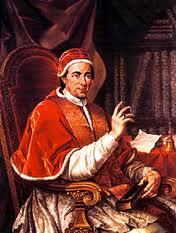 Pope Frankie should shop at Sports Direct,,,Francis 1,,,the Peoples Pope. So Cam Pope Francis may well have shown the people the way to redemption when “The people” sing their laudable ditty, you know the one, they actually mean Francis The Pope. Well well you learn something every day. WELCOME HOME 😉 .